I realised after reinstating my build server setup (via docker!) that the installer wasn’t quite working as it should, and probably explains the reasons why people have asked many times as to how they can install additional apps, or separate the app from the installer. There was a bug preventing the burger menu from working on the installer, and therefore these options were not accessible. This has now been resolved and those options now work! Note this fix only changes the installer, not the app, so for those who have this working as needed, there is no need to update your install on the TV. If you need to try and debug any options/issues, either download the debug build available from the downloads link at the top of this page, which starts the app by default in debug mode, or press the ‘Tools’ button on the remote before you experience the issue to see the debug log. There are three ant build scripts, One in the E2Stream project, and two in the E2Stream-Installer, (one in assets, one in installer) project. 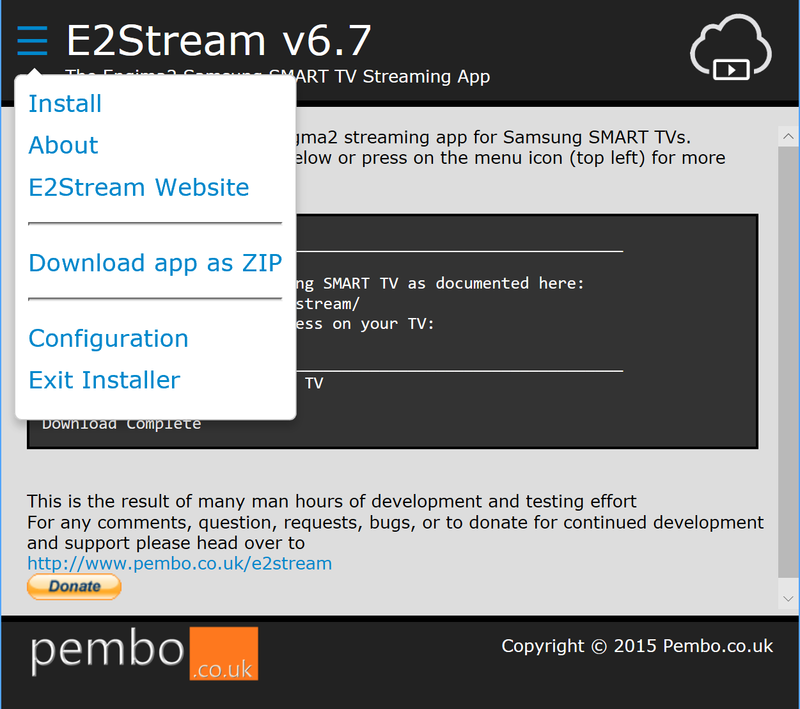 If using Jenkins, you’ll want to create a build job called E2stream. to hold the version number. 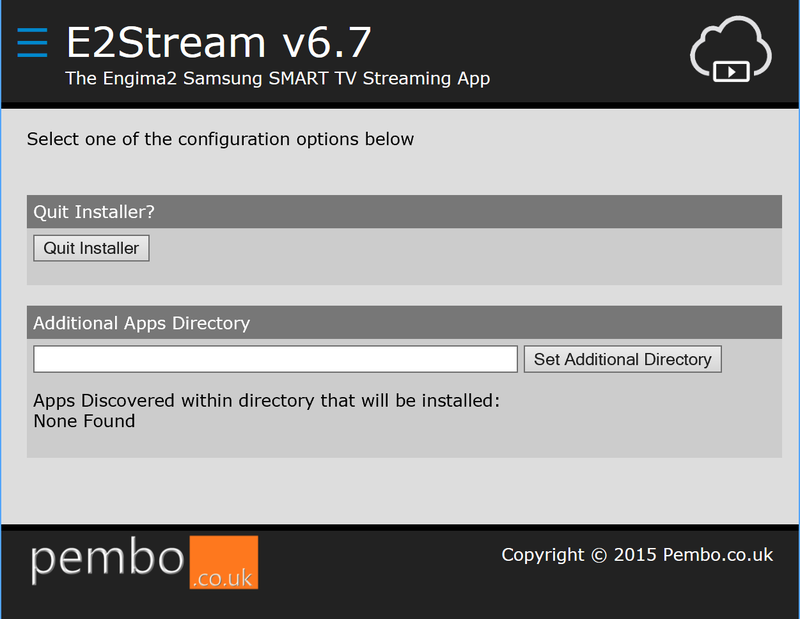 This has to be a Major.Minor version number in order to prevent issues within the smart TV SDK, e.g. 6.3 This is done through Jenkins by having a parameterised build, with a text parameter named ‘setversion’, but could simply be an environment variable passed to ant if not using Jenkins. To build a release build, next you’ll want to ensure that the debug settings are not present, therefore invoke the ‘clearDebug’ target in the build script to do this. Using Jenkins and a plugin, a parameterised build of the E2Stream-installer job is run next, passing the ‘setversion’ property. This can be done with a copy, or by invoking the ‘jenkinsCombine’ target of the ant script within the e2stream-assets folder/project from the installer repository. Screen shots for Jenkins at a later date!